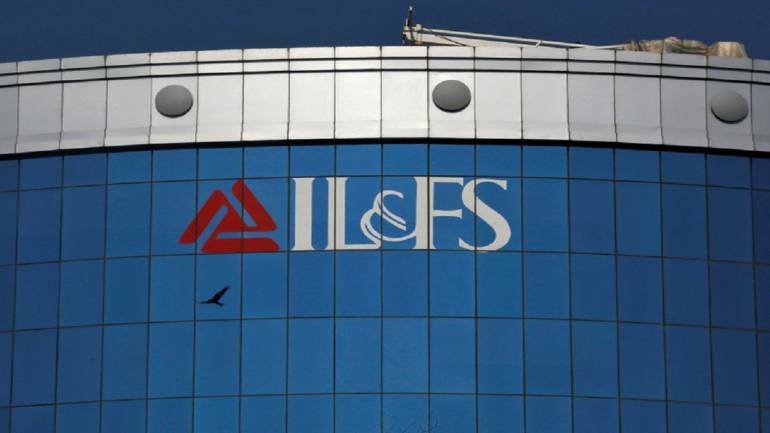 The forensic audit report by Grant Thornton has found several instances of violations of Reserve Bank of India (RBI) regulations by IL&FS with relation to the sanctioning of loans beyond regulatory limits. According to the report, there were many instances of risk management assessment overlooked by the committee of directors, which even approved loans to such companies that were already in stress. More importantly, in several instances the loans came back to IL&FS group of companies.Grant Thronton has submitted its interim and first report to the board of IL&FS. Moneycontrol has a copy of the report. The report has mentioned instances of risk assessment not being registered in the system and discrepancies between the details mentioned in the manual Credit Approval Memorandum (CAM) and the system CAM, which was the base document for the sanctioning of loans. Further, the forensic auditor found five instances wherein there was no adequate monitoring with regards to the personal guarantee provided by the promoters of the borrowers. “We reviewed Credit Approval Memorandum, CAM is a document which provides the details with regards to credit screening process undertaken to evaluate the prospective borrower’s credit worthiness. It also highlights the basic details of the deal along with risk and mitigations factors identified by the dedicated reviewers and approvers of IFIN. There are two forms of CAM – Manual CAMs and Electronic (‘System’) CAMs and based on our discussions with the ASF team, we were given an understanding that in order to expedite the lending process, Manual CAMs were prepared first which were reviewed by the dedicated teams, post which the same were recommended / approved by the Committee of Directors(‘CoD’). Further,the Manual CAMs were recorded in the ERP system generating System CAM. Post facto approvals were taken in the ERP system from the dedicated teams (this process is known as ‘regularization’). Hence, based on discussions, it is noted that the regularization of a manual CAM appears to be recording the details of the manual CAM in the system as it is. Based on a review of the documentation, it appears that the rear e-control lapses during the regularization of the manual CAMs and it appears unusual that the terms on which the loan sanction has been approved are potentially changed while regularizing in the system,” stated the report. In most cases, a personal guarantee of the promoters of the borrowers were taken as collateral against the loan sanctioned to the borrowers. “In order to ascertain if the personal guarantees of the promoters of the borrowers is adequate with regards to the loan provided, we requested for the net worth certificate of the borrower’s promoter. However, it was noted that no supporting documentation was taken from the borrowers which can help to ascertain the net worth of their promoters,” as per the report. The auditor has also identified 18 instances worth Rs 2,400 crore where the committee of directors ultimately approved loans to those borrowers who appeared to be under potential stress, despite such information being available in the public domain and even a negative assessment by the Risk team. As per the report, “the CRMG team provided negatives remarks or recommendations in the CAM based on their assessment of the risk profile of the borrowers. However,even after the negative remarks or recommendations , the loans were sanctioned to the companies on the basis of approval provided by the committee of directors. Even in the following instance that loans amounting to approx. Rs 1,922 crore were provided to companies which were in stress at the time of lending. Loan was given to ‘Dev Rishabh Real Estate Private Limited (ERAgroup)’. As per the remarks stated in Credit Approval Memorandum of Dev Rishabh Real Estate Private Limited dated 03 March 2017,it was mentioned that the group to which Dev Rishabh Real Estate Private Limited belongs i.e.Era Group,is facing liquidity issues. Even, there are various legal cases and winding up petition against the Era Group. Similar like loans lent to‘Shiva Shelters and Construction Private Limited(Sivagroup)’, As per the remarks stated in Credit Approval Memorandum of Shiva Shelters and Constructions Private Limited dated 26 February 2018,the group has been going through tough times which has resulted into liquidity constraints and impacted the servicing of its outstanding.Further as per the RBI report,it has been recommended to provide 100 percent provisioning to Siva Group’s exposure”. “It appears to be unusual that loans were sanctioned by the Committee of Directors even when it was highlighted by CRMG team (risk team) that the companies are under stress. Till date, out of 16 cases mentioned in the report, in 7 cases IFIN has already written off loans or has done provisioning,” it said while adding that 29 instances were identified where it appears that the loans disbursed to borrowers were in turn utilized by their group companies to repay the existing debt obligations with IFIN. Based on the analysis carried out, it appears unusual that out of Rs 390.63 crore worth of loans provided to the borrower of companies, Rs 145.33 crore were in turn utilized to repay the existing debt obligations, it said. The report also identified 15 instances where it appears that potentially no charge has been created against the assets which had been taken as collateral against the loans provided to borrowers of IFIN.